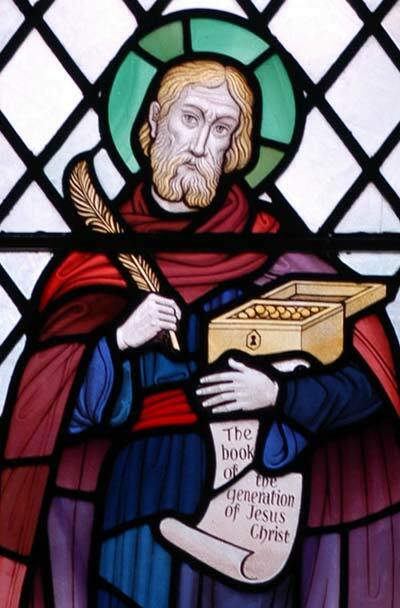 As you enter Christ Church you find a window showing Saint Matthew. He is pictured holding quill pen and paper. Matthew's Gospel is the first book in the New Testament. It tells the good news, or ‘Gospel', of Jesus. His birth, life's work, death and rising to new life changed the course of history. It can change us. Matthew was one of Jesus' first followers or ‘disciples'. When Jesus met him he was a tax collector, which is why he is shown carrying a money-box. Tax collectors were not much loved by Jewish people in those days. They gathered money on behalf of the Roman occupying power. Strict Jews regarded them as tainted and impure. So they were shunned by respectable members of Jewish society. In choosing Matthew to be one of his closest companions, Jesus showed that there is a place for everyone in God's Kingdom, not just respectable people! As you move ahead, on the wall to the left, you can see this unusual memorial. It was put into the church in 1931 and carries the names of 190 people from the parish who died on active service during the Great War, 1914-1918. Jill Waterson, of North Watford History Group, wrote a short article about this shrine. To read it, click here. 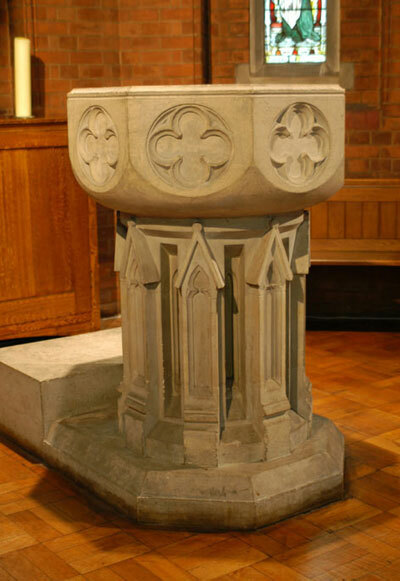 At the back of the church is the font, the place where people of all ages come to be 'baptised'. Baptism literally means ‘washing'. In Jesus' day people marked many events in their lives with rituals involving washing. Jesus' work involved telling people about God's Kingdom. He showed them new ways of relating to God and to each other. Before starting this work he was baptised by John the Baptist. Baptism marks a formal beginning to a Christian life. As followers of Jesus, baptised adults and older children try to live as Jesus did. They continue his work by telling others about him and the things he taught about the Kingdom of God .